Professor Patrick Jacobs, who died on 31 March 2013, made many significant contributions to the field of Solid State Chemistry, and was one of the key players in the field of research on defects in solids. I first met him when I was a postdoc at UCL in the early 1980s, and was privileged to get to know him and to learn from him. He remained a mentor, and one of my scientific heroes to whom I have looked up to throughout my career. I first actually worked with Patrick in 1986 at Keele, when he made one of his regular visits to the Catlow group. At the time he was very interested in silver halides, along with Roger Baetzold and Yen Tan (from Kodak), and Sean Corish, who were also visiting then. I helped them use the CASCADE code to calculate defect formation energies using various potentials they were deriving at the time. This particular visit was in late August, including the late summer Bank Holiday, and the weather was terrible with frequent torrential rain. I remember one day in particular, when things hadn’t gone well on the calculations front, and Patrick pronounced it the ‘second worst day of his life’ (although he never elaborated to me on which had been the worst day!). His zest for hard work was exemplified by the fact that although the tradition in the Catlow group was to go to the local pub (The Sneyd Arms) at 10 pm most nights, he was always keen to go back to the lab afterwards, although some of us were less keen! 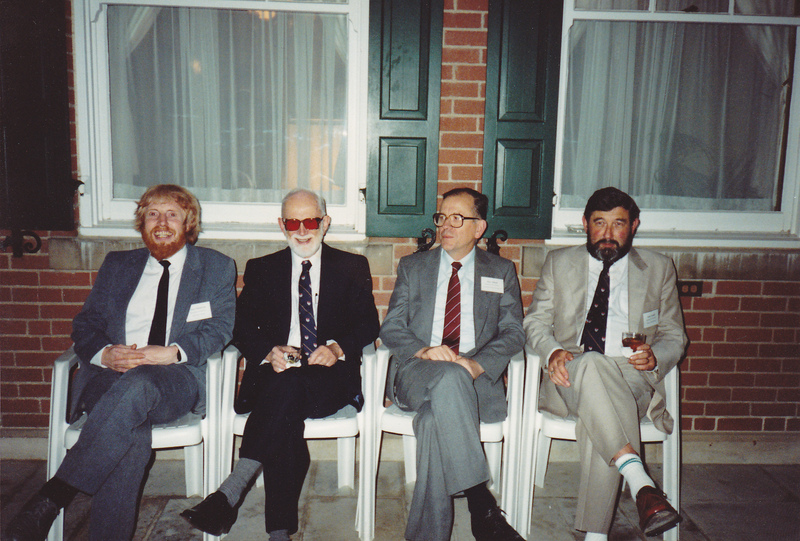 I was privileged to attend a symposium organised in his honour at the University of Western Ontario in 1989, where the photograph below on the right was taken (with Alan Chadwick, Alan Allnatt and Sean Corish). This was followed in 1990 by a meeting at Mansfield College Oxford, also held to honour his contributions to our field. In fact Patrick was a regular attendee at the Mansfield College meetings organised by Richard Catlow, including the Mott anniversary meeting in 1988. A regular conference fixture for Patrick was the ICDIM/EURODIM series, which I attended fairly regularly from 1984, and with full regularity from 1994. I would meet Patrick at those conferences, and was delighted that he came to EURODIM98, which I organised. Sadly that was the last time I saw him, in July 1998. 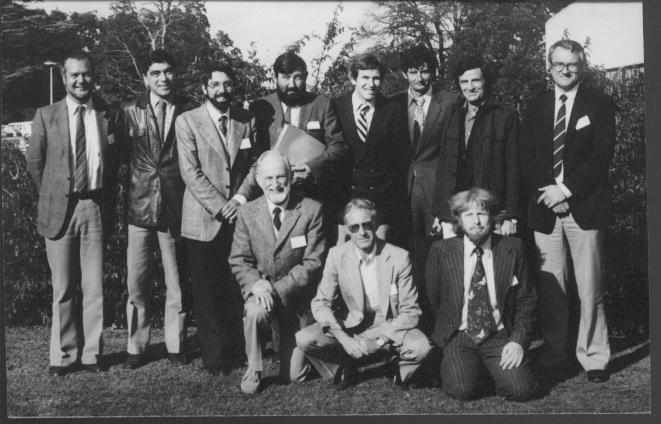 The photograph on the left shows Patrick with other members of the organising committee of one of the early EURODIM conferences. You may recognise some of the others in the photograph! Even though I didn’t see Patrick after my conference in 1998, we kept in touch, and I received an e-mail from him as recently as 22 March (2013) with some information about his new book on Thermodynamics, which has just been published. This book, his earlier book on Group Theory with Applications in Chemical Physics, and his very many publications and contributions to Solid State Chemistry will ensure that he lives on in our memories, and continues to inspire us.